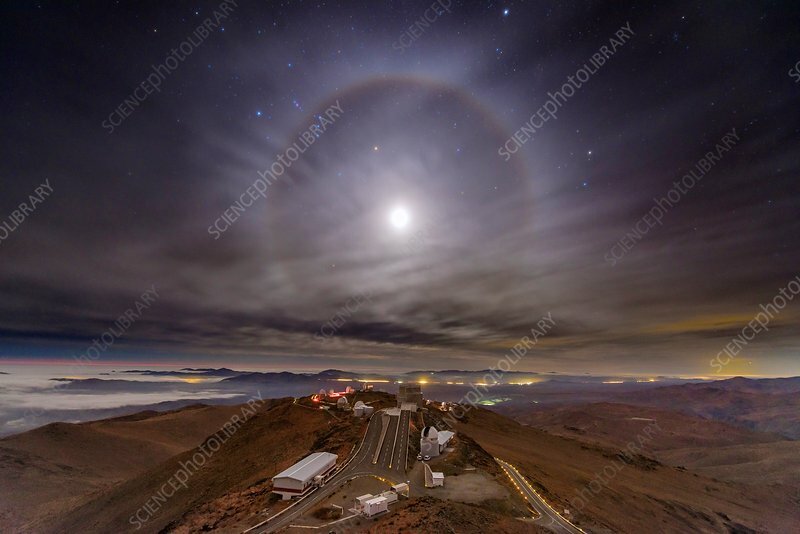 Moon halo and La Silla Observatory. La Silla is located at an altitude of 2400 metres in the Atacama Desert, Chile, and is operated by the European Southern Observatory (ESO). Lunar halos are an optical phenomena that form when moonlight passes through ice crystals in the sky, usually from cirrostratus clouds or fog.